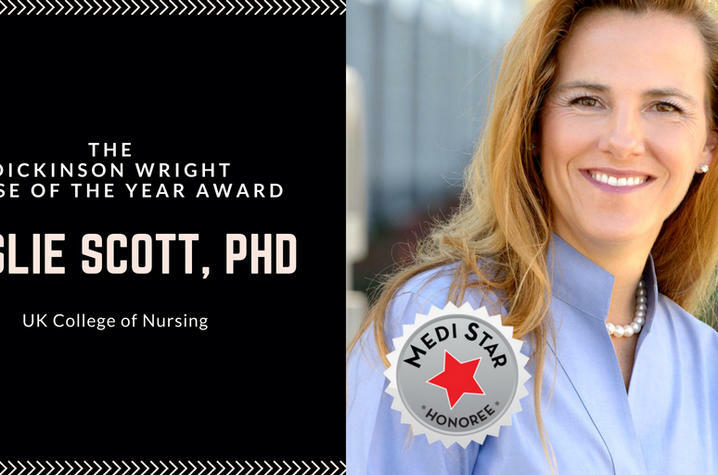 LEXINGTON, Ky. (Oct. 16, 2018) — The 2018 MediStar Awards will recognize Leslie Scott, associate professor in the University of Kentucky College of Nursing, and the Kentucky Homeplace initiative. This year’s ceremony will take place on Oct. 30 at the Muhammad Ali Center in Louisville. For more than a decade, IGE Media, publisher of Medical News, has recognized innovation, advocacy, leadership and excellence in healthcare through the annual MediStar Awards. The Hosparus Health Innovation Award, presented to Kentucky Homeplace, recognizes an organization that has developed a new procedure, service, program or treatment that improves the delivery of care. Director Mace Baker will accept the award on behalf of Homeplace. 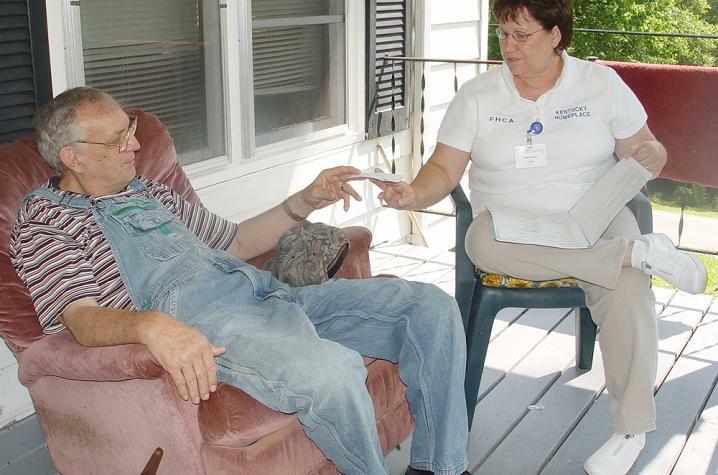 In 1994, the UK Center for Excellence in Rural Health (CERH) established Kentucky Homeplace to help medically underserved residents access the medical, social and environmental services and resources they need. Today, Kentucky Homeplace’s geographic area has expanded to include over 30 rural Eastern Kentucky counties. Leslie Scott, a pediatric nurse practitioner and diabetes educator, is the recipient of the Dickinson Wright Nurse of the Year Award, which recognizes a nurse who has gone above and beyond their normal responsibilities to improve best practices and contribute to patient education. The opportunity to combine treatment, education and mentoring is what keeps Scott motivated.